Most kids grow up playing these classic games; in a group where all participants are of roughly the same age and size, they’re great fun. However, babysitters should never join in these games with their charges due to the possible risks involved. 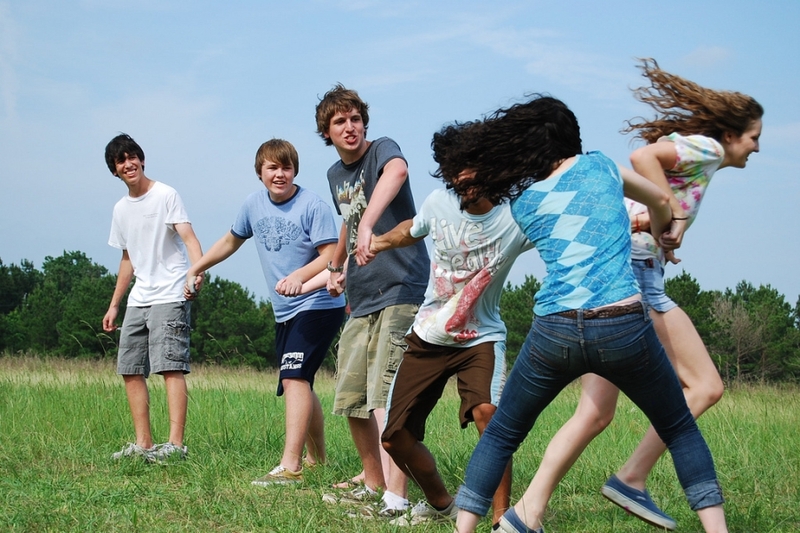 Red Rover – Some organizations have banned this game altogether, but it can be fun if played carefully. A babysitter with two to three times the physical strength and size of their charges can inadvertently cause serious injury by crashing into more fragile arms too roughly. Hide and Seek – With older children that have a clear understanding of dangerous hiding places, this game is harmless fun. Babysitters of younger charges shouldn’t participate in the game; they should set clear boundaries for play and watch carefully as children select their hiding places. When the searcher begins looking for their playmates, a good babysitter should already know exactly where each child is; taking part in the game would make this nearly impossible. Tug of War – Once again, the more powerful musculature of teenage or adult babysitters can pose a significant risk when playing this game. Leave it to the children while you keep an eye out for injuries, being sure to monitor the amount of strain that little arms and wrists are under. Wrestling – For toddlers, this game can quickly become too dangerous with a grown-up opponent. Explaining to parents that their child is hurt because you wrestled with them too hard is difficult, and sure to make them think twice about calling you the next time they need a sitter. Football – The slightest miscalculation in force when tackling a little one can result in very grave injuries. If your charges insist on playing football, opt for the touch variety or sit out while they play tackle. Dodgeball – In the heat of competition, it’s easy for a sitter to throw a ball too hard. Face and head injuries are a very real possibility when kids of comparable size play dodgeball; adding a larger person to the equation is just asking for trouble.